How to install racing brake pads on a 1st gen RX7. Easiest brake pad swap ever! Our race team recently obtained a RX7 track day car. It has a 13B swap and a mostly stripped interior and an Autopower cage. S0me minor work has been done to the suspension. We fitted a set of Hankooks and took it to Atlanta Motorsports Park for Track Night in America. The little car is well suited to the tight twisty turn of AMP. However after a couple of brisk laps we had to let the brakes cool for a lap before going all out again. 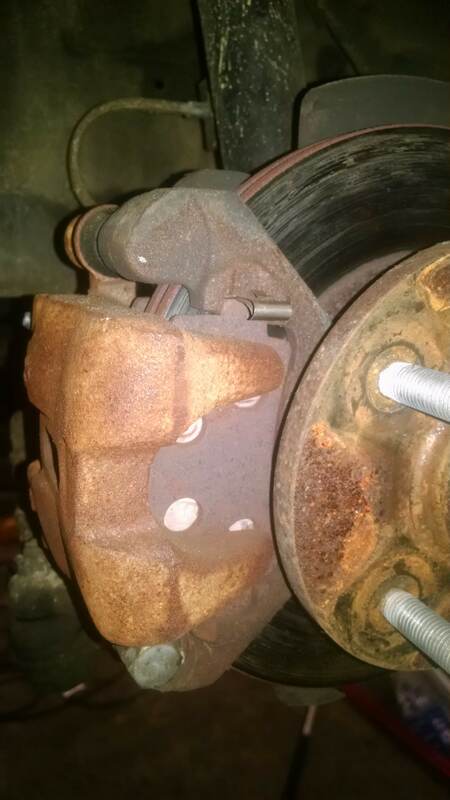 We had thought that since the car had several other mods it would have better brake pads but that seems not to be the case. So today I swapped in a set of Hawk Blue pads. Begin by removing the wheel. 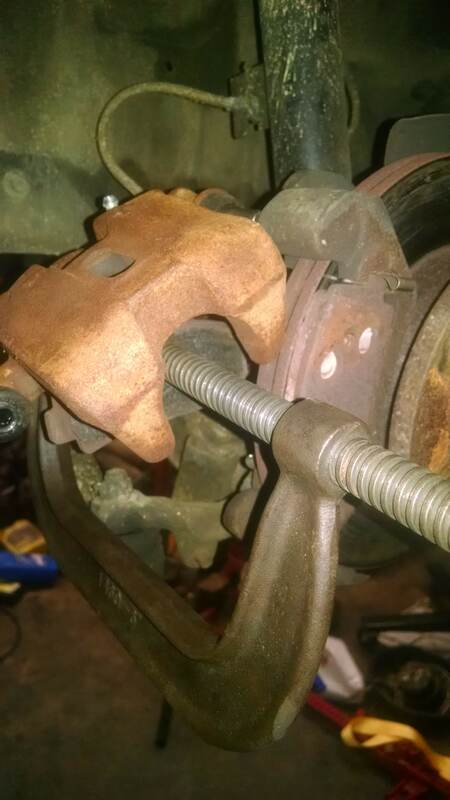 Thn remove the one bolt holding the caliper in place. Flip it up and let it rest on the rotor center. Pull one of the old pads and use it for a spacer against the piston. Use a C clamp to press the piston all the way in. SInce the rotors looked nearly new, I did not change them. Since they have the bearings as part of the unit this would have added some time to the procedure. 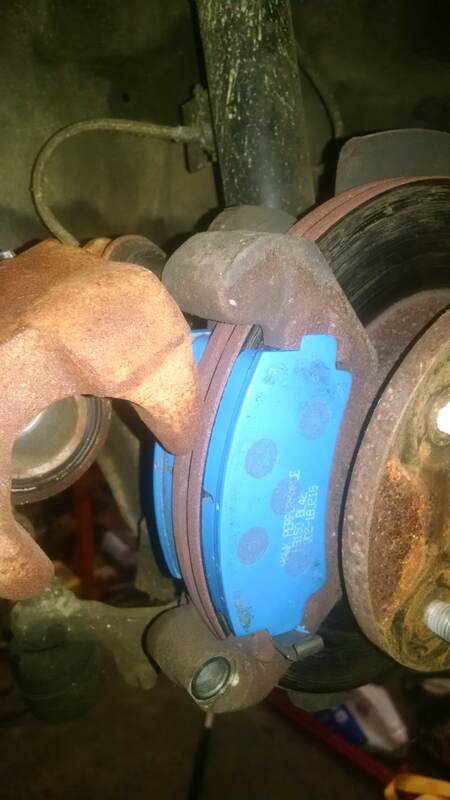 Drop the new pads in place and slip the caliper back over them. 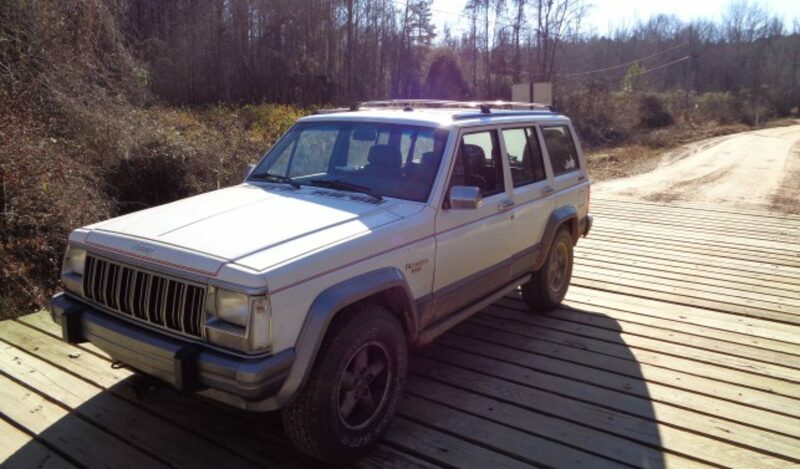 Tighten the one bolt and your done! Put he wheel back on and do the other side. The Hawk pads require a specific bedding in process. It is not hard to do on the road in front of my shop. But it is important to follow the instructions from Hawk carefully. You will feel the pads suddenly bite in when they bed in. Be careful as sometimes one side will come in before the other making the car pill to one side while braking for that one or two stops. Looking forward to see how they do at the track. I will update after the first outing.